Check here for updated information throughout the school year! Senior Timeline 2019 Senior Timeline Update (updated 2/20/2019). Please download for specific dates & detailed events! 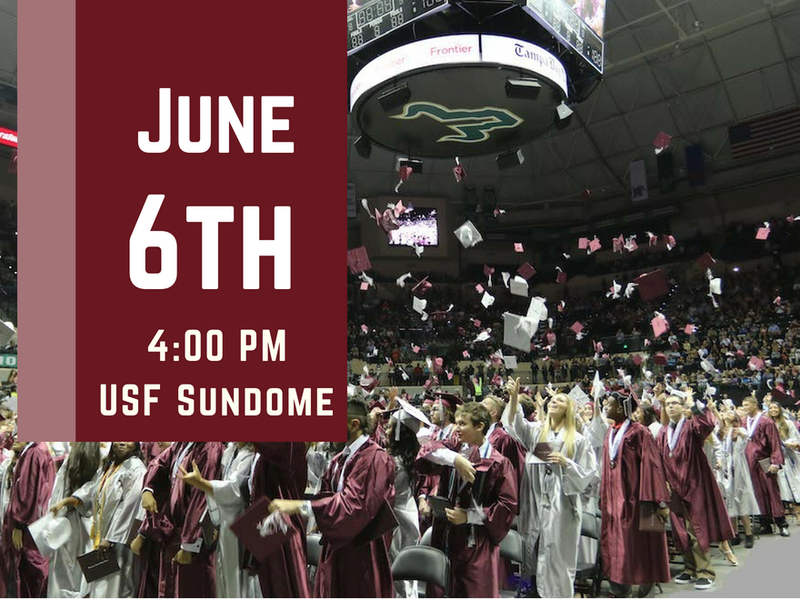 6/6 Graduation: Thursday, June 6th, 4:00 pm at the USF Sun Dome! Continue a strong academic schedule with AP, Honors, and/or Dual Enrollment classes. Finalize the list of schools where you will apply and make sure you have all application packages. Most schools offer an online application option; applications for Florida’s state universities and colleges can be found through the college or university’s website. Apply to colleges EARLY in the Fall. Consider applying to multiple colleges in case your first choice is not available. If you have thoroughly researched schools and feel you’ve found the best match, you may want to consider an early action plan. Organize your application packages. Review deadlines and requirements, test scores, high school transcripts, essays and recommendations. Use a file box and folders for each school. Put a label on the front of each folder with your online username, password, and deadlines. Give teachers, employers, and other adults at least a month to complete recommendation forms. If available, use each school’s online application status or tracking system to check if they have received all of your materials. Don’t leave it up to your Guidance Counselor to do this. Apply for housing if you plan to live on campus. Gather information to complete the FAFSA (Free Application for Federal Student Aid). Check out www.finaid.org for other financial aid resources. Take or retake the SAT or ACT if necessary. If your future college wants mid-year transcripts, submit that request to your counselor early. Wait for college admissions decisions and financial aid award letters. Use this information to determine which school best meets your academic goals and financial needs. Consider making another visit to schools where you have been accepted. While you’re there, ask plenty of questions. Once you’ve made a decision, notify all colleges immediately. Send in housing and other deposits and sign up for orientation at your chosen school. If you take dual enrollment classes, request and official transcript be sent to your future college. If your top college choices are not available, work with your counselor to find other colleges with openings. If requested, send your financial transcript to the school you will be attending. Send thank you notes to teachers, counselors, and anyone else who may have assisted you in the application process.